Where is Sumner County Tennessee? Sumner County is both rural and suburban. Sumner County is located in the northern area of Middle Tennessee and is bordered by the State of Kentucky to the north, Robertson County (Springfield) to the West, Wilson County (Mt Juliet) to the Southeast and Davidson County (Nashville) to the South. Sumner County has rich history. 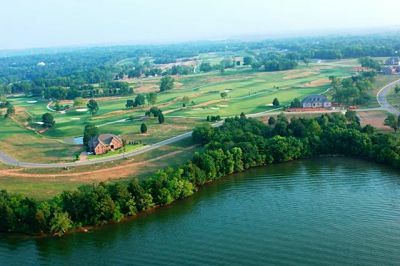 From historic sites to music legends to Old Hickory Lake, Sumner County has much to offer. Portland and Westemoreland boast the world famous TN Highway 52 yard sale. Portland hosts the annual strawberry festival and Hendersonville was the home of music greats Johnny Cash, Conway Twitty, Taylor Swift and many others. Goodlettsville is famous for its historic Manskers Station. Sumner County boasts a population of over 158,000, yet still maintains a suburban atmosphere. Areas such as Portland and Westmoreland provide a farm and rural atmosphere. Some of these cities and towns are shared by two different counties, such as the City of White House is divided by both Sumner County and Robertson County. If you are looking for a REALTOR® who knows Sumner County, choose Kim Blanton! Learn more about Kim and why she is the best choice to assist you with all of your home buying and home selling needs.